One might associate the subtropical island of Okinawa with brilliant summer sunlight and laid-back beach days. However, there are still a number of things to enjoy over the Christmas and New Year's period -- the so-called winter season -- in Okinawa. 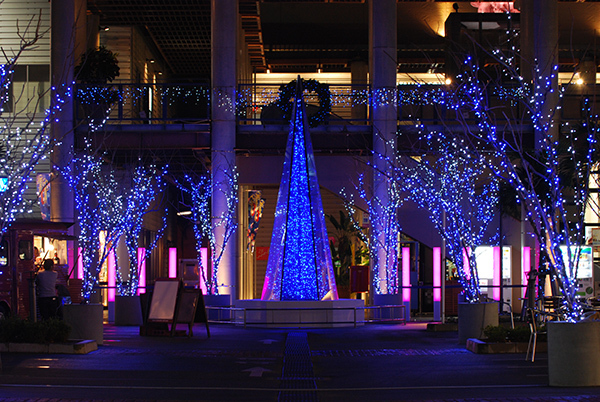 One thing that marks the holiday season in Okinawa is the twinkling of lights decorating the entire island. 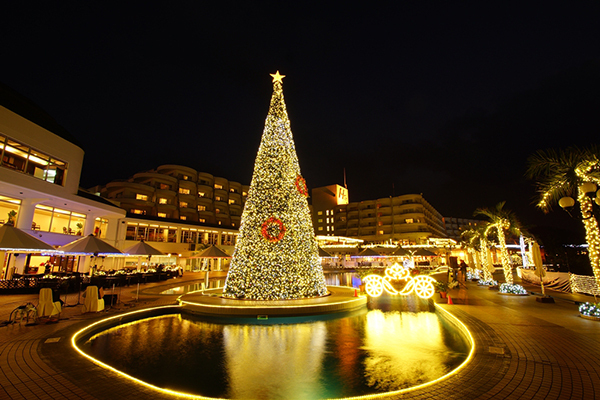 From popular sightseeing spots and resort hotels to the average home, Okinawa is truly transformed into an “island of illumination” during winter, starting around November, when a number of fun and romantic events take place across Okinawa. 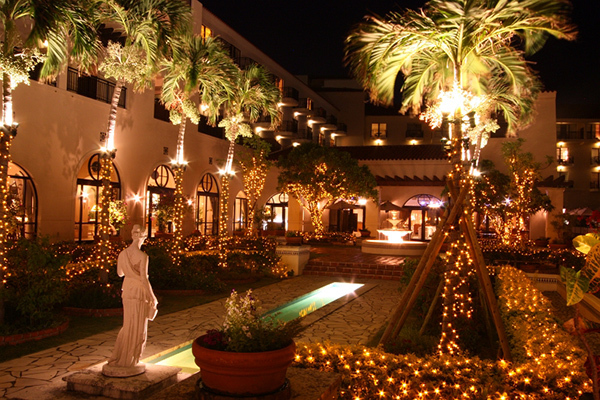 This year the Hotel Nikko Alivila in Yomitan Village was the first to kick off the holiday celebrations with spectacular nighttime lighting on Oct. 1, earlier than any other place on the island. 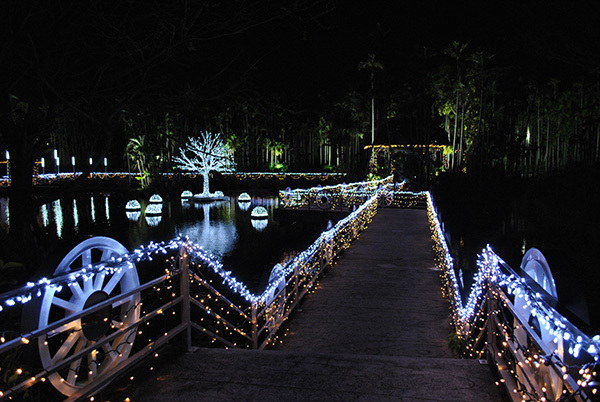 The Renaissance Okinawa Resort in Onna Village and the Kanucha Resort in Nago City will light up their grounds from Nov. 1. 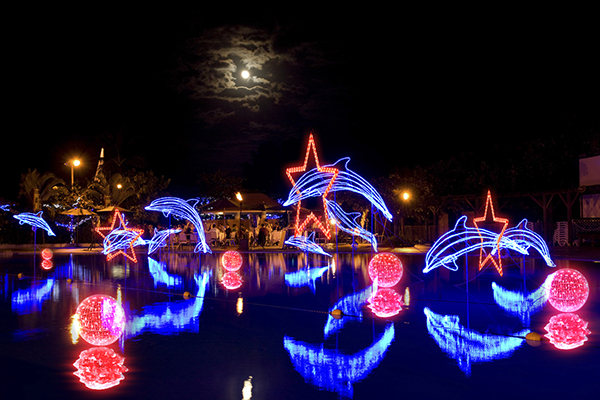 Why not enjoy amazing Christmas lights and a magical holiday atmosphere before anybody else? Admission: 2,000 yen for adults, 1,000 yen for high school students, 500 yen for elementary and junior high school students, free for children under 6 and seniors over 96. Entrance fee and dinner package: 4,500 yen for adults, 4,000 yen for high school students, 3,800 yen for junior high school students, 2,400 yen for elementary school students, 1,000 yen for children ages 4-6, free for children under 3.